The Core77 Design Network is an international, web-based community of designers and design enthusiasts seeking news, trends and opportunities. Our visitors practice in multiple disciplines, with a concentration on industrial design, design management, graphic design, interactive design and user experience. For the past 18 years we have worked with many of the world's most respected companies and brands, helping them connect with our highly engaged audience of designers. We use the web as a platform to build awareness and anticipation, and use multiple points of human interaction to make real-world connections on many levels. 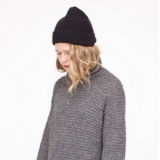 Online since 1995, The Core77 Design Network has earned its reputation time and again as the leading destination for designers worldwide. 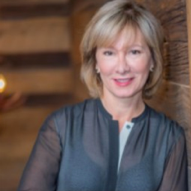 Our publishing platform, high-profile events, outreach programs and partnerships with leading schools, publishers and creatives maintains our preeminent position among the thought leaders in today's design industries. Speaking to our audience is what we do best. Through an array of multi-channel advertising opportunities, we will help you deliver your message at the right time and in the right format to the right audience. We use our extensive knowledge of our audience to craft custom ad campaigns that will help build awareness of your brand, drive traffic to your web properties, or increase sales -- whatever your goals may be. Campaigns range in complexity from standard banner display and newsletter ads to custom roadblocks, page takeovers, and much more. Pricing for our comprehensive advertising campaigns typically begins at $1000 USD. Details can be found in our media kit. Drop us a line or call 1-212-965-1998 to speak with a Core77 representative and discuss how we can help your organization position itself for success in front of a global design audience. Core77.com is the world's leading online community for Industrial Design. Since 1995, our site has served a devoted, global audience spanning the entire spectrum of the design industry. Core77.com speaks to design students, working designers and design managers alike, providing articles, photos, resources, information and community tools that bring our readers back. Our audience is tech-savvy and hungry for knowledge about the latest products, materials and events. The discussion forums are one of the liveliest areas on our site, and a true watershed of contemporary design discourse. Our extensive calendar of events is a must-read for anyone wanting to keep abreast of design competitions, conferences, classes, exhibitions and more. The coverage of special events and competition results ensure a continual flow of traffic throughout our site. Design.EDU is our exclusive resource for design students, containing articles full of info and tips for design students of all levels. 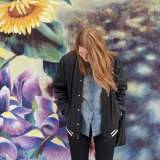 Additionally, we maintain a directory of over 300 design schools from around the world. Coroflot is a career and community site made for creative professionals by creative professionals. We host over 280,000 individual portfolios where over 150,000 new projects are published every month. Our members are design professionals, freelancers and students practicing in over 50 disciplines that come from nearly every country on earth. Our fast growing selection of talent keeps our job board highly active, with over 3,000 new jobs posted annually. We help match hiring designers, design managers, and recruiters from over 1,700 companies ranging from local operations to Fortune 500 industry leaders with some of the top design talent from around the world. In addition to our own site, all jobs posted to Coroflot are distributed across our Design Employment Network, a collection of the most prestigious names in the design world. We also use Coroflot's social media properties and partnerships with other leading job search sites to syndicate our job postings. Launched in 2003, the Core77 Design Directory provides a comprehensive database of over 5,000 design firms and their portfolios. We help businesses search for and connect with leading design firms from around the world. Through a partnership with BusinessWeek.com's Innovation & Design channel, we provide extensive reach to design firms wanting to advertise their achievements and services to the creative business community. We offer three levels of listing opportunities through Design Directory, each customized to provide the scale and results you want. The first is our Basic Listing, which is available for free and includes your firm in our database. The second tier is our Premium Listing which is perfect for those who wish to elevate their presence with larger, featured presence at the top of the DesignDirectory.com search and browse pages. This level comes with the additional benefit of allowing you to showcase up to 20 of your design firm's projects on your individual profile pages. The third and most impactful level is the PremiumPlus Listing. This comprehensive advertising solution provides all the advantages of the first and second levels, plus the addition of greater exposure to the larger audiences of Core77 and BusinessWeek. To create your Basic or Premium Listings on DesignDirectory, click here. 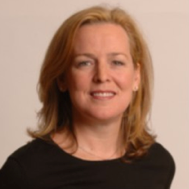 to create your premiumplus level listing, please reach out to our premiumplus account manager, laura des enfants at laura@core77.com. Core77 has extensive experience in organizing and producing design events of all types, including seminars, panel discussions, networking events, exhibits and parties. We've hosted events big and small throughout the US and Europe. Event sponsorship provides a unique way to align your brand with a highly engaged community of professional and student designers. Sponsors typically receive extensive exposure for their brand through various means, including having their logos included on printed collateral to physical representation at the events. Our events draw anywhere from 200 to 1000 attendees, and serve as a focal point for the human interaction that makes the Core77 Network thrive. To learn about our upcoming events and sponsorship opportunities, please contact Laura Des Enfants or Deb Aldrich. Below are just a few examples of both completed and ongoing projects we've been working on! For the second year, Windows Phone sponsored a juried competition wherein designers were asked to create, connect or impress the pants off their future self. Challenged to take control of the future, applicants were asked to design apps that would empower themselves at their work, enable better connections with family and friends or were simply a joy to use. The entry-round of the competition closed February 10, 2013. Once the Jury determines the 50 finalists, FIVE winning app design--chosen from the finalists--will receive a Microsoft Surface, Windows Phone device, design review call with a Windows Phone team member and an opportunity to be featured in an "Amp Up Your App" segment on Microsoft Channel 9. All 50 finalists will receive a one-year subscription to the Windows Phone Dev Center, and those who launch their apps in the Windows Phone Store can also win a Windows Phone device. 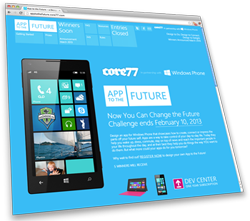 The challenge was created and run by the Core77 team to help Windows Phone achieve their goal of generating interest among the design community. Core77 built the website, advertised and promoted the competition, collected the winners, managed the judging process, announced the winners and monitored the delivery of all prizes. This year Core77 tripled the participation of both registrants and entries. For more information, check out apptothefuture.core77.com. For the past several years, Core77 has been instrumental in covering and promoting BraunPrize, a popular international product design competition aimed at promoting the work of young designers, highlighting the importance of industrial design and increasing the profile of innovative product ideas globally. To celebrate BraunPrize 2012, Core77 and Braun teamed up to host the Design in the Wild global photo competition where participants were invited to identify extraordinary design in their everyday lives. As a follow up to the BraunPrize 2012 program, Braun has sought Core77's help again to keep up the momentum. By developing a permanent archive of Braun's work and philosophy, Core77 will leverage their global audience of designers to transition their media presence from BraunPrize 2012 to a larger Braun design story. 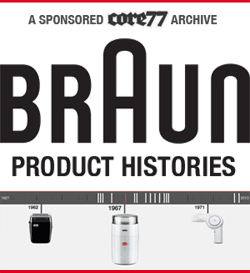 For more information, check out core77.com/braun. The International Home and Housewares Show (IHHS) is an annual, multi-day event held by the International Housewares Association (IHA) to feature the newest product innovations and trends for all areas of the home. Exhibitors, industry leaders, buyers, and professionals from all over the globe attend this world-class trade show to see what's new and discuss the future of the industry. 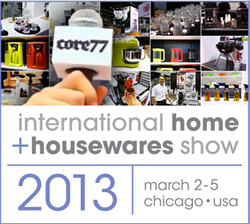 Core77 has attended and covered the International Home and Housewares Show on its web site in previous years, successfully raising awareness about the event and providing live coverage and archival footage. In 2012, IHHS added another day and the IHA sought expanded coverage with increased photos and sketchnotes, and a smaller series of videos to focus on getting a wider number of vendors, designers and presentations in the mix of event blogging coverage produced by Core77. This year the IHHS conference made for another successful collaboration with the IHA as Core77 was on site and provided live coverage of the event. Core77's IHHS archive now contains over 55 entries, and continues to grow as we publish more content from this year's show. For more information, check out core77.com/blog/international_home_housewares_show.